WM is busy and feels great! 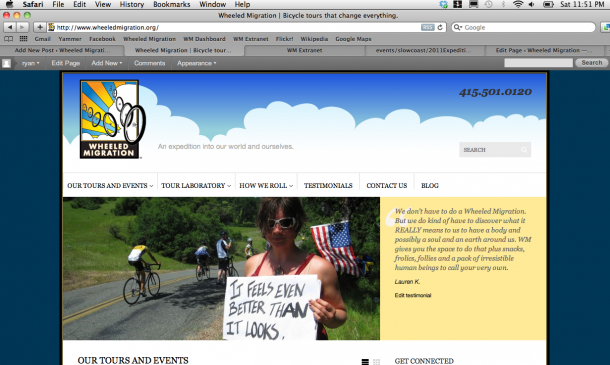 Spring brings websites and bike rides. We’ve got a fresh spread of themes and routes in development and some of last year’s favorites are back again. Our move comes in the middle of Wildflower weekend, we’ve still got a lot of unpacking to do. Have a look around, let us know what you think, and thank you for riding your bike. Previous postSpring Sojourn 2011: Chico to The Lost Coast Next postWin Bike Tours! Tats For Tours. Now › May 16th!